From the kids’ walking bike right to the Moto GP! This is a project for growth and development of young talented motobikers. The Minibike Academy is not only bikeriding experience for kids, it is a complex sports activity club. After this experience young talented bikers can continue their bikeracing preparation in the Brno Circuit Junior Racing Team, which supports promising bikers in their further racing career. Our main goal is effective growth and development of young talented bikers. Children guided by experienced professional instructors get to learn correct technique and habits for safety driving, which they can apply in a bike race as well as later on the road. Minibike academy is an ideal gate to the world of motorcycle sport. We have been in existence since 2010 having brought up many riders, who can boast with many awards both in national as well as prestigious international championships. Regular training sessions – we teach children balance, skill, in-one-line riding and main rules all in absolutely safe environment. Riding in higher speed comes much later, only after getting some experience. Off season training camp – the right team is very important, that is why we organise summer and winter training camps. We focus mainly on physical and technical preparation, funny games, trips and summer rides on the racetrack. 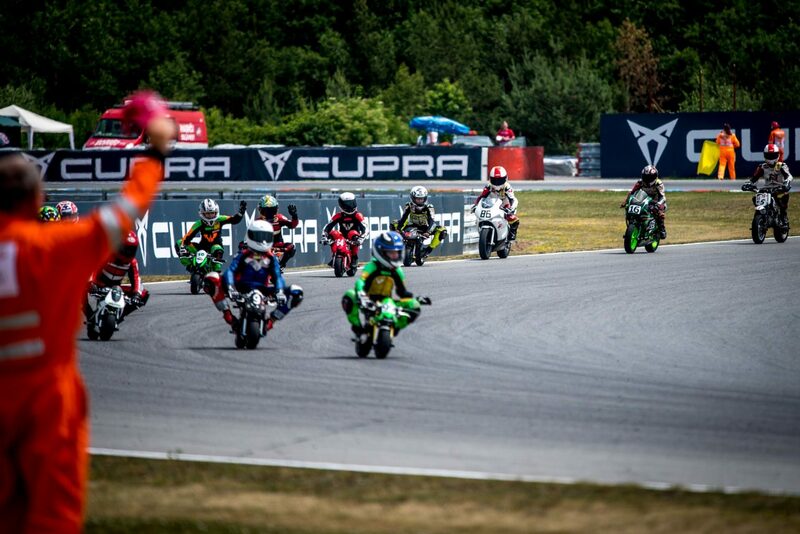 Racing – Academy members can take part in races within the serie Minimotocup, on the minibike tracks in the Czech Republic and Slovakia. 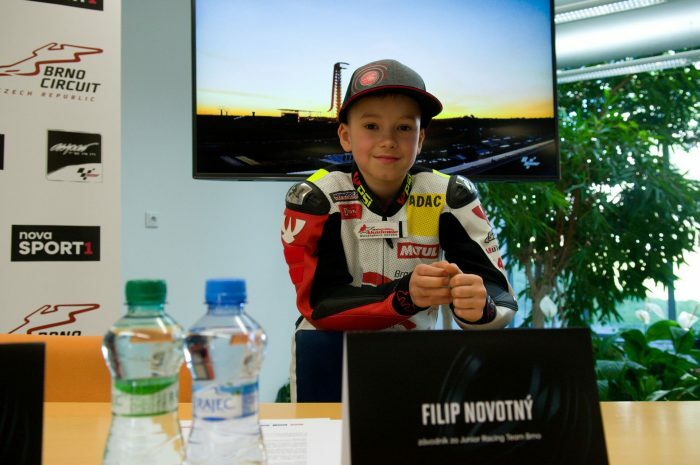 The minibike academy has been working within the Automotodrom Brno since 2010. Later the Academy merged with Malminibike club for children. Both of these clubs brought up many great racers, who take part in many prestigious European circuit series. Since 2018 season, both clubs got separated again and each of them operates in different places. The Minibike Academy still works under the Brno Circuit. The Academy is committed to work with boys and girls of all ages. 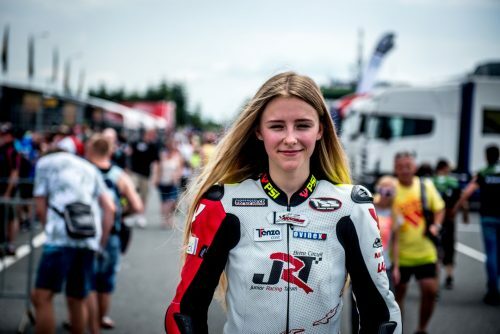 The primary goal is to give them experience which would help them both in their racing career as well as in the real road traffic in the future, Motorbikes can be entertainment as well as a hobby for everybody. All children at the ages from 4 to 15 can start in this club. Summer season takes from April to October. Winter season lasts from November to February. Firm boots and loose long trousers, biking protective gear will be provided. On the grounds of the Brno Circuit. In summer mostly on the minibike track, in winter in the inside hall. What will the kids ride on? The beginners course participants will use quad bikes or 2stroke minibike 40 cccm (for the beginners the performance is limited on the handlebars). What will the children ride in? We provide the members of the academy with kneepads, elbow pads and spine pads as well as the helmet and gloves. Who takes care of children? Professional academy coach will secure children with a safety belt. Can we start in the middle of the season? Where there’s a will there’s a way. All children must go through the beginners course, Contact us for individual arrangements, we will iron out details. Outdoor minibike track is located right in the Brno Circuit premises close to the major racing track where annually Moto GP pilots fight for their victory. Most of the training sessions take place on the minibike track. There is also a parking space, resting zone and mobile toilets in the area. The training Brno Circuit polygon is used mainly for pre-seasonal and post-seasonal training preparation. Riding on the track with articifial obstacles is a perfect way how to teach children balance, braking and throttle control and build their good physical condition. For this training specially adapted pitbikes or mountain bikes are used. In bad weather training sessions take place in the hall on the second floor of the Brno Circuit control tower. Even this kind of training is important. Here children can try all kinds special balance aids and body-weight exercises. Our soundproof training room is a perfect place for theoretical classes. Academy members learn here flag signals, basic information about medical care and first aid as well as the technical paprametres of the racing machines. There is also a screen with a projector for the analysis of videorecordings of the rides. Working on it. We will provide you with the list of training levels in no time. 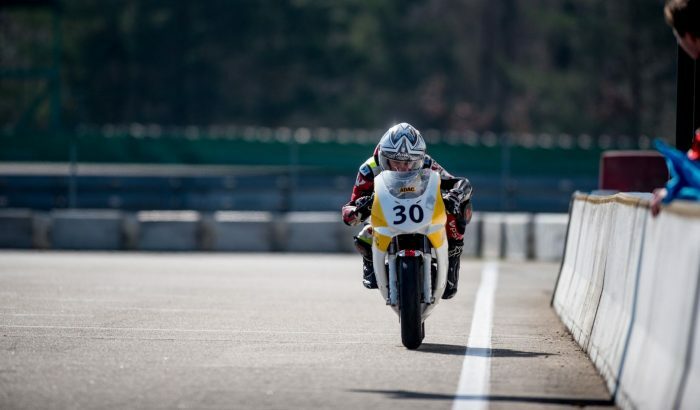 Support and encouragement of young motorbike talents in their further development. 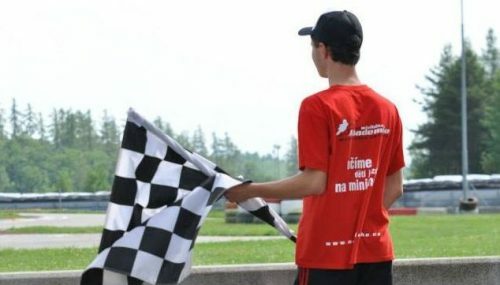 This is the main concern of Brno Circuit Junior Racing Team. Its members are talented riders who went through the Minibike Academy and want to pursue motoracing in a more intensive way. 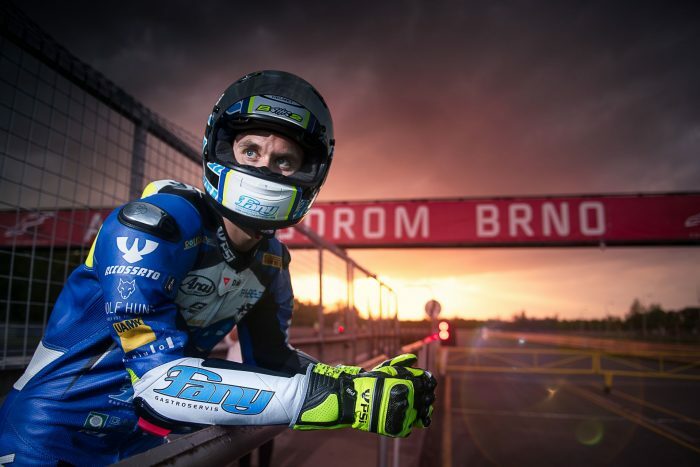 Brno Circuit Junior Racing Team began under the patronage of the Autodrom Brno at the beginning of 2017. It provides its members with sufficient background for motorbike racing. Junior Racing team helps young riders to get neccessary gear and the instructors of the team take care of them intensively all year round. Team riders take part in both national as well as prestigious European races like Alpe Adria or ADAC Junior Cup.